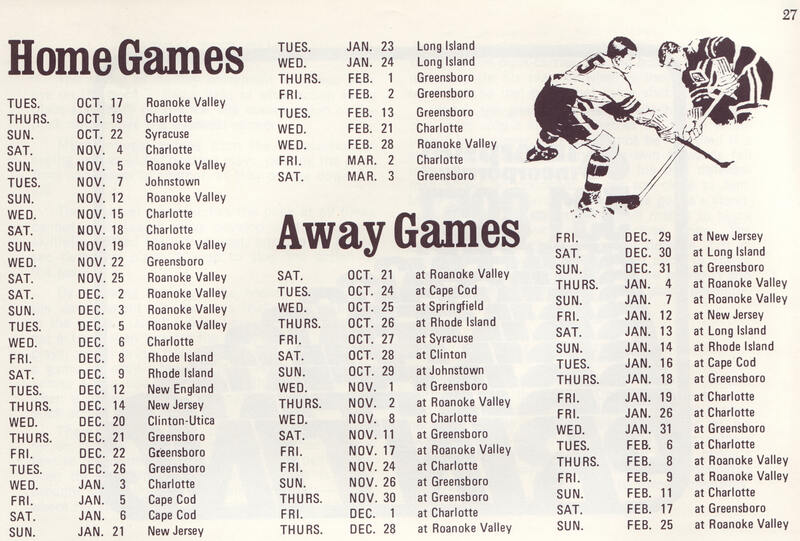 The schedules below were published dates. 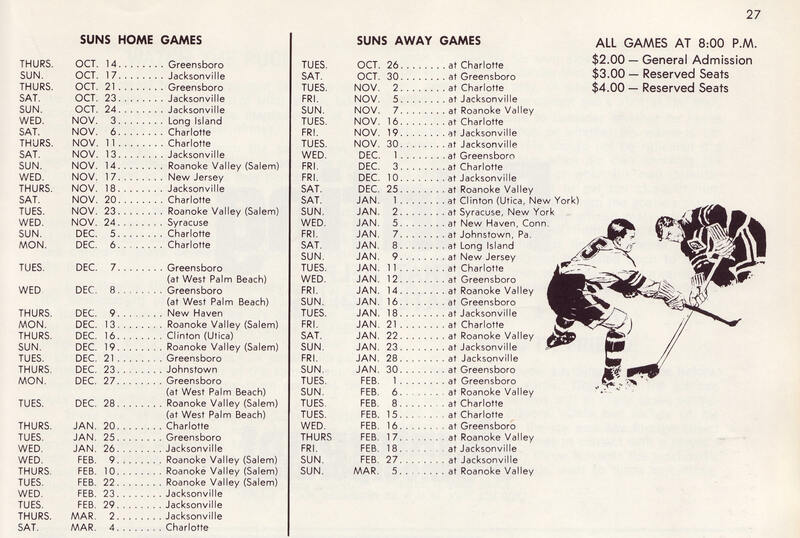 Not all games were played on the scheduled days and in the '73-74 season the games after December 14, 1973 were never played. Scores for all games and actual dates played, if different, will be listed on the Results page. Dates in bold were never played.